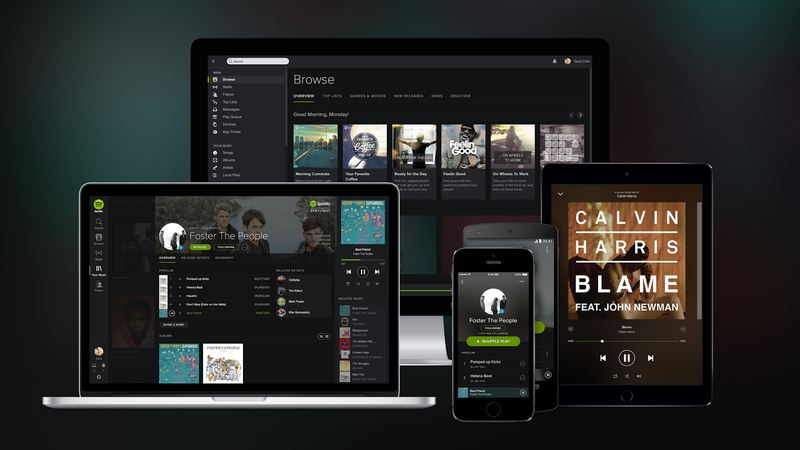 Spotify Premium is one of the many paid music streaming subscriptions available these days. The iOS version of the app has Apple CarPlay support making it a good option for CarPlay-enabled head unit owners. Just last month, Spotify announced their partnership with Uber. You can now link your Uber app with your Spotify account and listen to the tracks you like while getting a ride. The service allows users to even change tracks, playlists etc. while in the back seat of the car. If you've been sitting on the fence about signing up for the service, this may be the right time. Their latest promotion boasts Spotify Premium service subscription for only $0.99 per month (regular price $9.99 per month) for the first three months in the United States. U.K. customers pay£0.99 per month. This offer is available for new Spotify customers who sign up for premium service before December 31, 2014. There is one small catch though. Only new Spotify subscribers who have never paid for Spotify Premium in the past or availed of the free trial can sign-up for this offer. After the promo period of three months, subscribers will be charged $9.99 a month. With Spotify Premium, you can listen to any song, from any album, by any artist, at any time. Spotify's catalog is 20 million songs deep. Music is available for offline listening too. And of course, the Premium service is ad-free too.